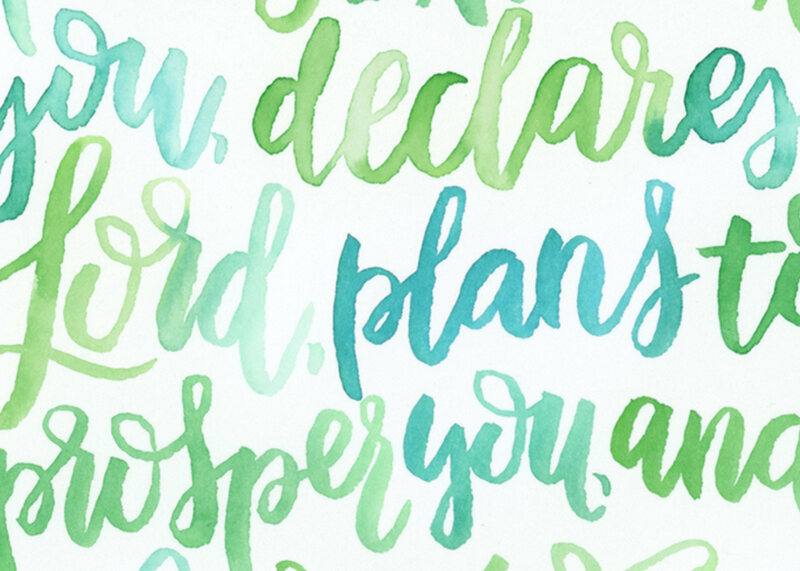 One of my favorite things to make with hand lettering is Bible verse art – it brings me so much joy to create prints from Scripture and to imagine others seeing it each day as a constant reminder of God’s Word. 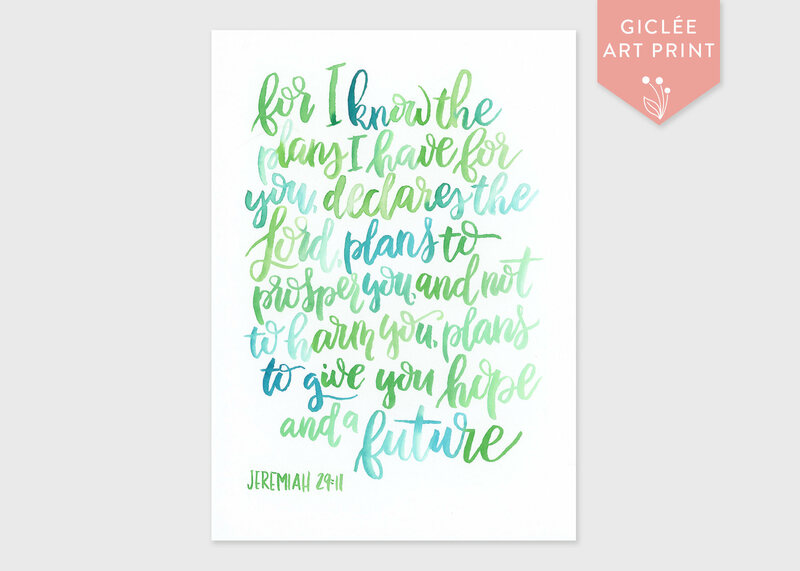 This verse is found in Jeremiah 29:11, and is an encouragement in tough times. These prints are available in 5×7" and 8×10". 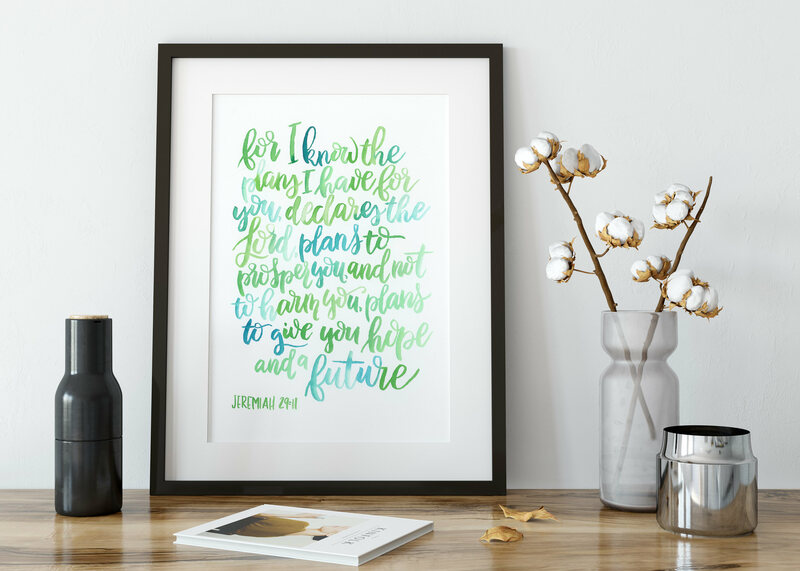 I recommend purchasing an 11×14" frame with a thick matte to showcase this artwork best. Frame is not included.